Eppingen, Germany, June 29, 2018 – GRAMMY®-nominated singer and songwriter Tori Kelly has chosen The Baron’s Jelly as the grand prize winner in the Shure mobile recording contest “Off the Beaten Track.” The French duo of sisters Lauranne and Maeva Andrianandrasana will now travel to Los Angeles for a professional recording session at Capitol Studios in Hollywood, California. They also win Shure gear worth $5,000. The Baron’s Jelly took the top spot over more than 800 bands, singers, and solo musicians from 14 countries around the world with their song, “Piece Of Art” Originally hailing from the French city of Marseille, the sisters recorded their live performance video in a train with Shure MOTIV™ microphones. This line of mobile mics enables users to capture professional-quality audio almost anywhere. It was really tough to make a final decision. There were so many talented musicians to choose from! As a songwriter, I really gravitated toward The Baron’s Jelly. Their chord choices on guitar along with their beautiful harmonies and lyrics really stood out to me. American singer-songwriter Sarah Bonn from Washington, DC, took second place with her entry, “Galaxies.” She wins Shure gear valued at $3,000. Third place went to Jeffery Chang for his song, “Lose My Mind.” The Canadian musician based outside Montreal receives $1,000 in Shure equipment. To enter, musicians submitted video of an original song performed in a unique location. After uploading to the contest website, entries were required to collect at least 50 votes to be considered for one of 20 spots on the short list. The one entry collecting the most public votes overall won a wild card spot – and went on to take third place. For the second stage of the competition, the remaining candidates received a collection of Shure MOTIV mics, so they could create an entirely new video with professional-grade audio. These were styled on “Shure MOTIV Sessions,” a music video series showcasing mobile recordings. Tori Kelly (Unbreakable Smile, Sing) then selected the top three winners. Off the Beaten Track’ was a great success. We had a truly international field of artists demonstrate just how creative and professional mobile recording can be. The Baron’s Jelly will make their grand prize trip to Los Angeles later this summer. GRAMMY-winning producer and engineer Al Schmitt, who has worked with Frank Sinatra, Bob Dylan, and many more over his lengthy career, will oversee their recording session at Capitol Studios. The contest, which accepted submissions from January 25 to March 22, was open to musicians from Austria, Belgium, Canada, China, France, Germany, Hong Kong, Italy, Japan, Mexico, Spain, Switzerland, the Netherlands, the United Kingdom, and the United States. 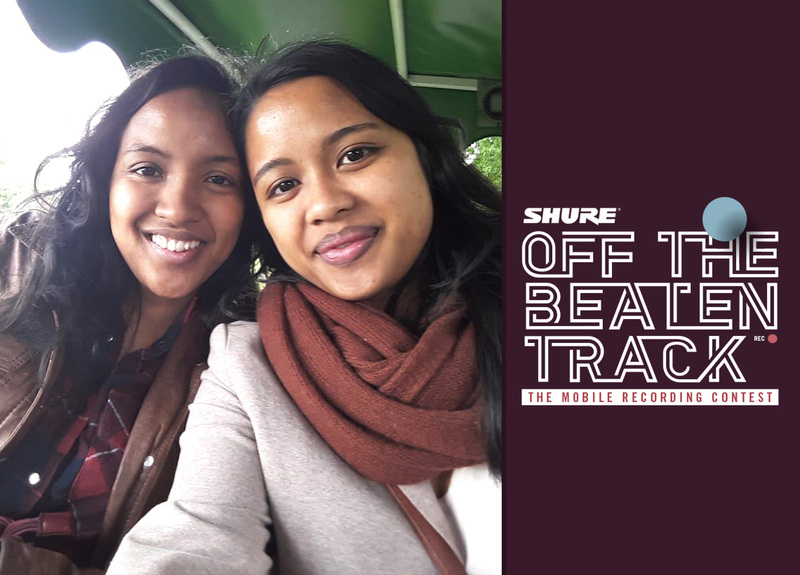 More information can be found at: off-the-beaten-track.shure.com.